Jam Tse Dhargyey Ling is a Tibetan Buddhist centre of Study and Meditation. (pronounced – Jum say dah gee ling). It is run by the Jam Tse Dhargyey Trust. With commanding views of Whangarei city and its harbour, surrounded by native bush, you will find the centre at the top of Parakiore Road, Whangarei, Northland, New Zealand. Ven. 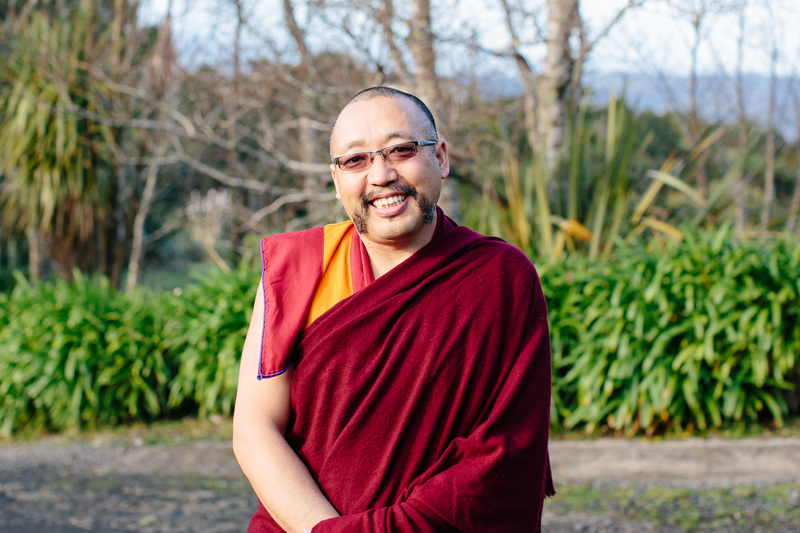 Geshe Sangey Thinley: Our resident spiritual teacher and qualified Buddhist Master. Ven. 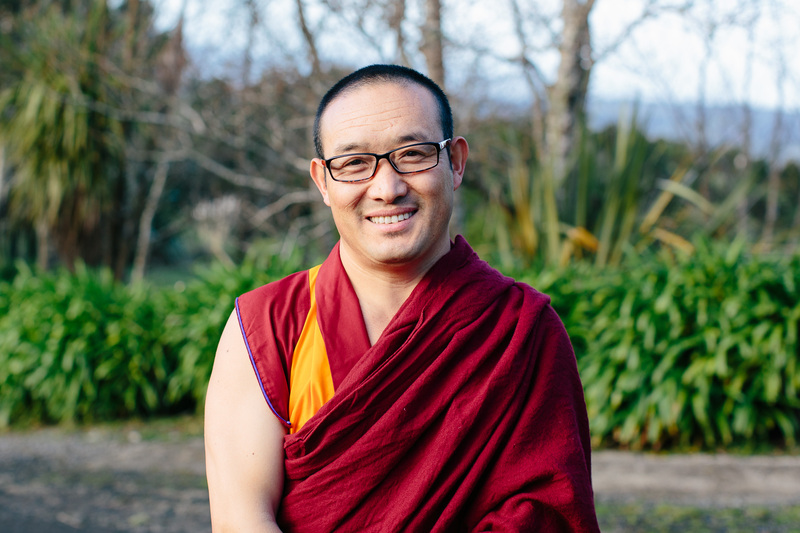 Karma Gyasey: Geshe Sangey Thinley’s attendant and interpreter. Ven. Nyima Gyaltson: Thangka Painter and Teacher. Ven. 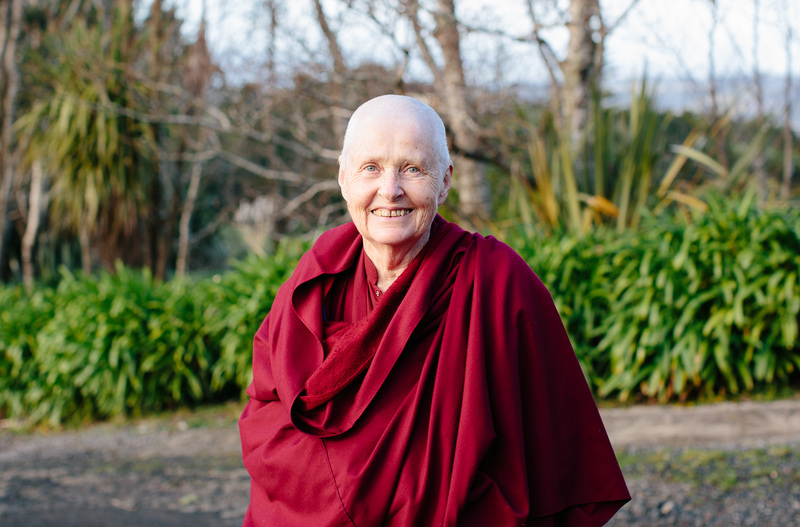 Jampa Tsekyi, lives off-site and is an ordained Nun. You are most welcome to visit us, take part in any of our activities, wander in our beautiful gardens, stroll through our native bush and walk up to the Stupa (Peace Monument). The views from here are breathtakingly magnificent and well worth the small climb. You will find times and dates for teachings, meditation classes and retreats on this site and also on our calendar. Please feel free to attend any classes, teachings, meditations or retreats Everyone is welcome, Buddhist or not. 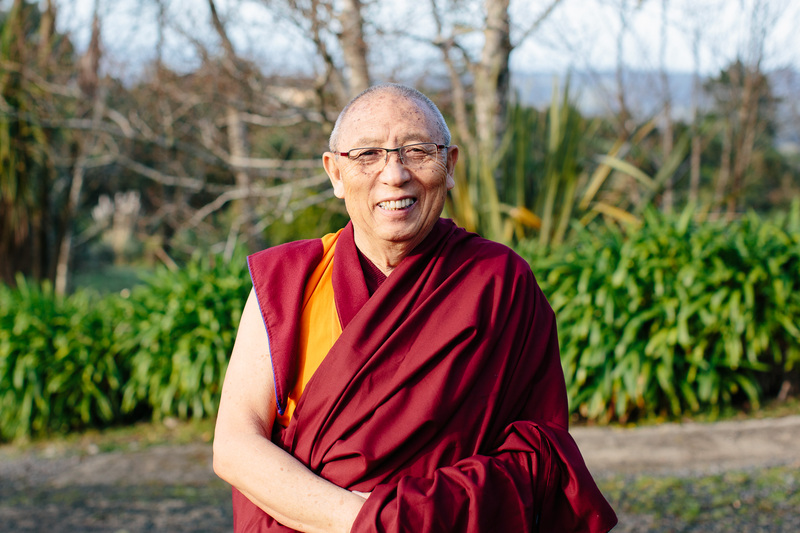 Geshe-la is a highly skilled teacher who has attained the highest level of education in the Tibetan monastic system. Geshe-la was born in the Kham Province of eastern Tibet in 1941. When he was seven he was enrolled in the Dhargyey Monastery to begin his studies. We offer teachings, events, courses, retreats, and workshops. Click below to find out more about all our events and see our calendar. Please check the calendar regularly for changes, especially before attending an event/class etc. The six syllable mantra for universal love, compassion & wisdom.